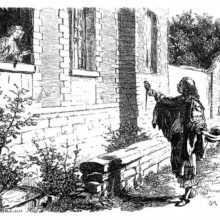 And hurried to the door, for she was kind-hearted. 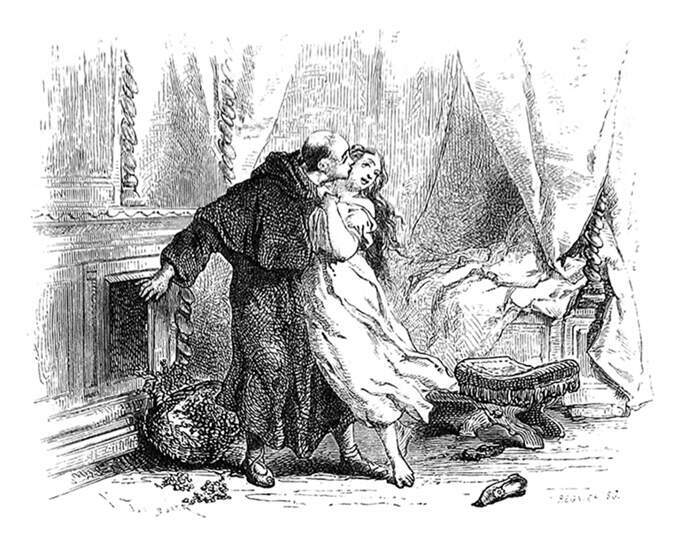 A man in a clerical robe embraces and kisses a woman fresh out of her bed. 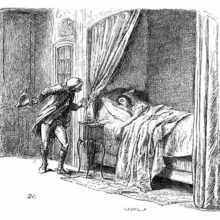 This illustration features at the beginning of the tale “Le bahut” (The sideboard). Et court ouvrir, car elle avait bon cœur.